Healthcare IT, program management and communications consulting company PwC US announced Sept. 5 its intent to pursue the Department of Defense (D0D) Healthcare Management Systems Modernization (DHMSM) Electronic Health Record (EHR) contract. The DHMSM program would replace and modernize the Military Health System (MHS) which currently supports more than 9.7 million beneficiaries, including active duty, retirees and their dependents. 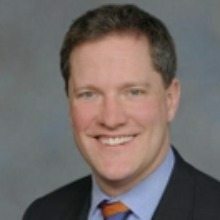 PwC plans to combine its healthcare operational and transformation capabilities with commercial EHR vendors DSS, Inc. and MedSphere, and systems integrator General Dynamics Information Technology to offer an EHR, which is currently serving patients and clinicians in more than 2,300 locations globally. PwC’s team is proposing an “Open Architecture” based integrated electronic health record which promotes greater ease of integration with existing DoD legacy systems, as well as unlimited access to ongoing EHR innovations. PwC selected its proposed solution based on an extensive technical analysis using the DoD’s unique government EHR requirements and the MHS’ patient safety and quality standards.